Terry Gilliam’s a man of big ideas, some of which seem to exist solely to be shot down by a cold, uncaring world. 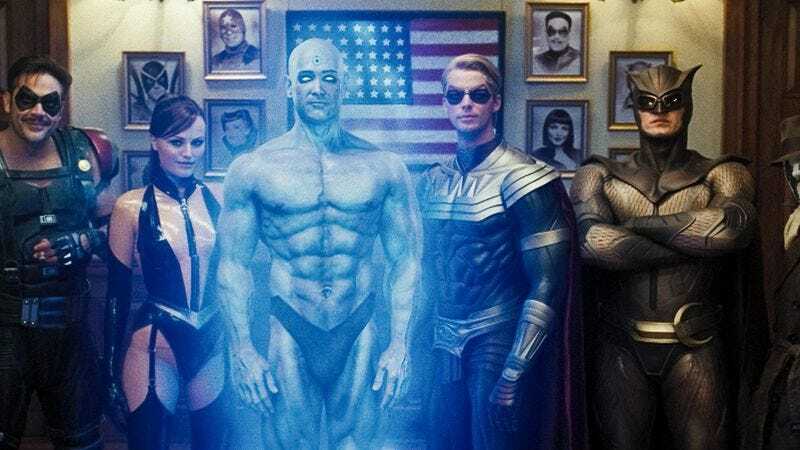 Before Zack Snyder brought the beloved graphic novel to the big screen in 2009, Watchmen had been Terry Gilliam’s cross to bear, another quixotic mission that no one—particularly Watchmen creator Alan Moore—believed could (or should) happen. It did happen, just not the way Gilliam had in mind. In a long interview with comingsoon.net, producer Joel Silver shared the ending that was in the script penned by Sam Hamm and Charles McKeown, which completely deviated from the ending of Moore’s book. What he did was he told the story as-is, but instead of the whole notion of the intergalactic thing, which was too hard and too silly, what he did was he maintained that the existence of Doctor Manhattan had changed the whole balance of the world economy, the world political structure. He felt that that character really altered the way reality had been. He had the Ozymandias character convince, essentially, the Doctor Manhattan character to go back and stop himself from being created, so there never would be a Doctor Manhattan character. He was the only character with real supernatural powers; he went back and prevented himself from being turned into Doctor Manhattan, and in the vortex that was created after that occurred, these characters from Watchmen only became characters in a comic book. Then the people who became Rorschach, Nite Owl, and Silk Spectre turned out to be fans who just like dressing up like their favorite comic-book characters, no different from the people hanging out in front of the Chinese Theatre in Hollywood. I think that there are things that comics can do which are stunning. There are things that can’t be achieved either by literature or by movies or by paintings. Just like any art form, it’s got things that it alone can do. I think that this is probably what Terry Gilliam ultimately came to agree with me on, regarding Watchmen. I think that as he tried to prepare a script for it, he realized just how much of the texture and content and nuance of the original was going to have to be chopped out. I think that he does still occasionally, every couple of interviews, talk wistfully about how maybe the next film might be Watchmen. I don’t think it's gonna happen, and I think that it’s generally for the reasons Terry himself has given, that it would simply lose too much translating it from one medium to another.